This page offers important information to parents and carers regarding issues surrounding Safeguarding and Child Protection. Alongside Joseph Turner Primary’s own policies and procedures information from other sources can also provide advice, facts and resources to support parents and carers to help protect their children. Our Safeguarding Policy and Child Protection Policy can be found on our school website. Please visit this page for our policies. Our Safeguarding Policy and Child Protection Policy are written with due regard to the Department for Education statutory guidance Keeping Children Safe in Education September 2018. Designated Safeguarding Persons are the other Senior Leadership Team members: Richard Workman (Head Teacher), Laura Collins (Deputy Head Teacher) and Cem Yalluri (Assistant Head Teacher). Janet Poxon (Chair of Governors) has safeguarding responsibility. The Designated Safeguarding Lead (DSL) for child protection will co-ordinate action on child protection within the school. This includes ensuring that all staff, teaching and non-teaching (including supply staff) know who the Designated Safeguarding Lead is and that they are aware of their individual responsibility to be alert to the signs of abuse and to discuss any concerns with the Designated Safeguarding Lead. Our school has a Young Carers Policy which can be found under the ‘Policies’ section of the school website. Children and young people spend lots of time on the internet. They may go online to research information for homework or to play games, chat with friends and make new ones. The internet holds a massive amount of useful information and can also be a really good way of learning about new things and keeping in contact with friends and family. It can also be a very dangerous place so it is important that children are protected and monitored when they are online. The NSPCC also offers lots of helpful tips and advice parents can use to keep their children safe on the internet and social networks. Child Sexual Exploitation, or CSE, is a form of sexual abuse which sees young children or young people being manipulated or coerced into sexual activity for receiving 'something' such as: gifts, food, attention, somewhere to stay, money. Technology is very often used to groom victims. This may occur through social networking sites and mobile phones with internet access. In April 2014 every school in England received new safeguarding guidelines and detailed information on identifying and responding to Female Genital Mutilation. FGM is a procedure carried out on young girls between the ages of infancy and 15 years of age. Female Genital Mutilation is classified as a form of Child Abuse in the UK. It therefore makes the procedure of it a serious Child Protection issue. It is illegal for anyone to perform FGM in the UK or to arrange for a child to be transported to another country for the procedure. The maximum sentence for carrying out FGM or helping it to take place is 14 years in prison. Contact the Police if you think that a girl or young woman is in danger of FGM and is still in the UK. Contact the Foreign and Commonwealth Office (020 7008 1500) if she’s already been taken abroad. From 1 July 2015 schools are subject to a duty under section 26 of the Counter-Terrorism and Security Act 2015, in the exercise of their functions, to have “due regard to the need to prevent people from being drawn into terrorism”. Joseph Turner Primary School is clear that extremism and radicalisation should be viewed as safeguarding concerns. We value freedom of speech and the expression of beliefs and both pupils/students and adults have the right to speak freely and voice their opinions. Our school ethos seeks to build pupils’ resilience to radicalisation by promoting fundamental British values and enabling them to challenge extremist views. The NSPCC has a wide range of resources that help adults keep children safe from abuse and other dangers, both online and in the physical world. P.A.N.T.S: Teach your child the Underwear Rule and help protect them from abuse. It's a simple way that parents can help keep children safe from sexual abuse. Share Aware: Help your child stay safe on social networks, apps and games. Online safety: Helpful advice and tools you can use to help keep your child safe whenever and wherever they go online. Staying safe away from home: Your guide to when your child's old enough to be out on their own, and how to teach them to keep safe while they're away. Home alone: How to decide when it's safe for your child to be home on their own, and what you can do if they're too young. If you suspect or believe a child is suffering or is likely to suffer significant harm, including any form of mistreatment or abuse, you should report your concerns. If you are a member of the public take the following steps. If a child is in immediate danger, you should contact the police (call 999 or 0845 113 5000), or call an ambulance (call 999). What happens when you ring Sandwell Access service? Sandwell Access are experienced children's services professionals, who are trained to deal with sensitive issues. They will ask you a few short questions to find out how best to deal with your concern. They work closely with other professionals to make sure that action is taken and the right level of support can be given to the right people at the right time. 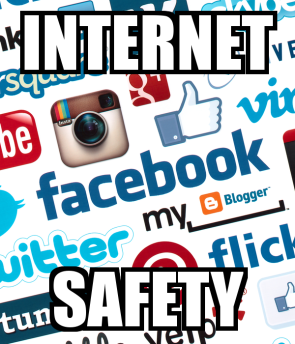 Top Tips for Keeping your Child Safe Online! Set limits to how long your child is on their phone, tablet, laptop or games console. It is vital that they have regular breaks and time away from technology. Make sure that younger children still gets lots of chances to play, explore and interact in real life, away from screens. You can set up parental controls to limit what your child does online. You can block any sites that you think are inappropriate and on windows you can set time limits on when your child uses their device. Download apps that you can play together or an ebook that you can read with each other. There are many family orientated apps out there for you to use alongside your child to show how technology can be used responsibly. Model to them how to be responsible when using technology. If you have set a limit to their technology time, set one for yours too. Try Not to Worry too Much! Just as with any other aspect of parenting, it's almost impossible to get everything absolutely perfect. In today's digital world, it can be really hard to prevent children from spending too much time around screens, or to make sure they're only exposed to age-appropriate media. Treat online activity the same way you would if your child was going to play outside. What do you like doing online/on your tablet? What can you do if you feel worried about something online? What do you watch online? What apps do you like to download and play? Who do you interact with online? (Especially when children are playing games consoles online). Who are you friends with online? Who can you talk to if you're worried about something online? Where do you find your games/apps? Where do you find your videos/apps? Where do you enjoy going online? There has recently been an updated version of SnapChat released. The new version features the option to include your exact location when sending pictures, even down to the street. Ensure children are using their technology (including phones, tablets and consoles) with a responsible adult present. Children shouldn't be using devices alone in bedrooms. Only accept friend requests if they know the person and can check if it is them by asking them in person before they accept. Disabling location services on all devices so applications cannot access your location. Remember that the age to have a SnapChat account is 13 years old. If a date of birth is entered which is below 13 years of age, the user will be redirected to a child friendly version of SnapChat called SnapKidz.